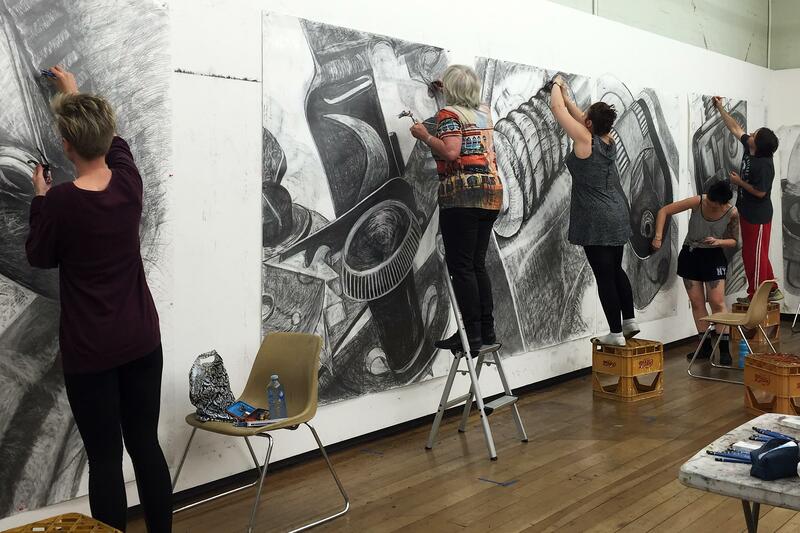 Adelaide Central School of Art offers intensive training for students looking to develop a career as a practising artist. We were recently identified as the top art school in South Australia for overall student experience in the national QILT Student Experience Survey, and placed in the top two in Australia. The School employs eminent contemporary artists, writers and curators to deliver a studio-based teaching program that cultivates sophisticated practical skills, underpinned by intensive conceptual investigation. Adelaide Central School of Art is renowned for our standards of excellence and rigour; we provide a learning environment committed to small class sizes and one-on-one interaction with lecturers. The School is celebrated for ourwelcoming community spirit and collegiate atmosphere of shared initiative, discovery and support. We invite you to invest in the future of South Australia's only independent art school. As a not-for-profit organisation the School relies on income generated from student fees, fundraising activities, private donations and corporate sponsorship. Your support ensures the School remains a South Australian cultural asset that makes a vital contribution to art education. We seek your support for the development of the next stage of refurbishment of our historic premises. Together we can continue the mission of the School to consistently deliver standards of excellence in visual art education. We can continue to be the training ground for nationally renowned artists and help to launch their professional careers. We can also continue to create and offer employment opportunities for professional practising artists, writers and curators in South Australia. The School has Tax Deductible Gift Recipient Status. We are most appreciative of all support we receive, and of course, any donation makes a difference to the School.